There's an article on the guardian about private phone numbers being uploaded from facebook, and another over techeye.net on the same subject. 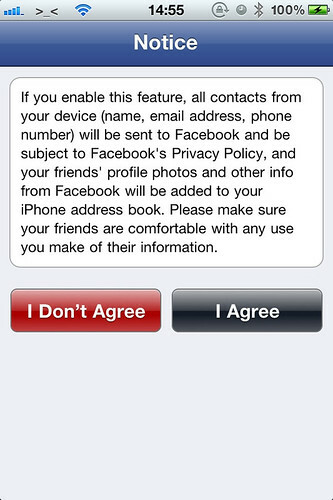 Facebook doesn't warn users that they are uploading their phone's address book to Facebook. And whilst the guardian article never says it happens automatically, it also doesn't lay it out that you have to explicitly enable that feature, and agree to the facebook app uploading the data. Reading that, it's fairly obvious what data facebook are uploading (although a little ambiguous why), and it certainly isn't happening automatically. 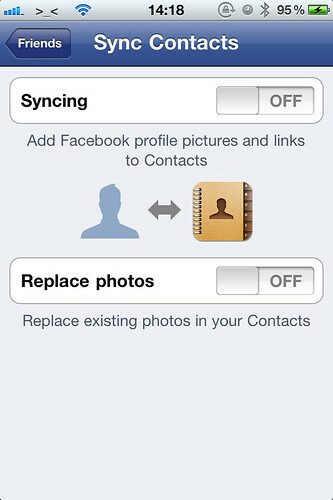 As it says, it uploads the "name, email address, phone number" from all your contacts to facebook, and pull down "your friends' profile photos and other info from Facebook".